An ideal companion for a sofa, loveseat or chair, our End Table finished in fresh Orchard Rub features a plank style top, a lower shelf and curved legs that have a lyrical flow. With lots of room for a lamp, books and photos, this accent end table could easily work as well in your kitchen or bath as it will in your living room. Place it with the coordinating cocktail for an inviting and airy look. 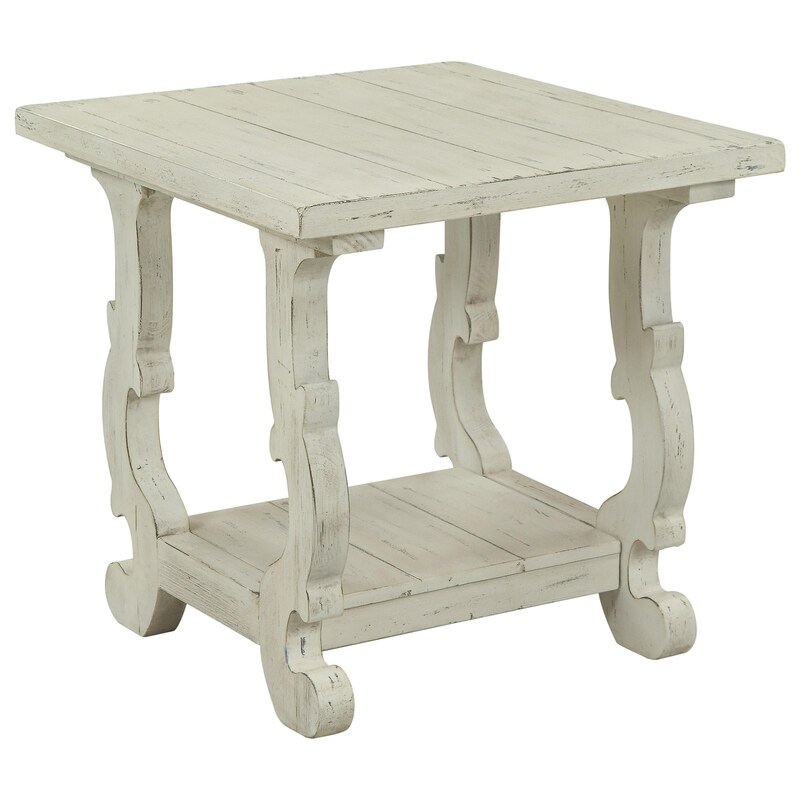 The Orchard Park Orchard Park End Table by Coast to Coast Imports at Furniture Fair - North Carolina in the Jacksonville, Greenville, Goldsboro, New Bern, Rocky Mount, Wilmington NC area. Product availability may vary. Contact us for the most current availability on this product.